Professional Women in Building Council is dedicated to promoting, enhancing and supporting home building and women within the industry. We do this by providing professional development resources, encouraging career development within the industry, supporting active involvement in the political and legislative process, providing recognition of member industry achievement and networking events throughout the year. Fees to participate in these fantastic meetings, events and activities vary. Registration is required for all on the Calendar section of the website. 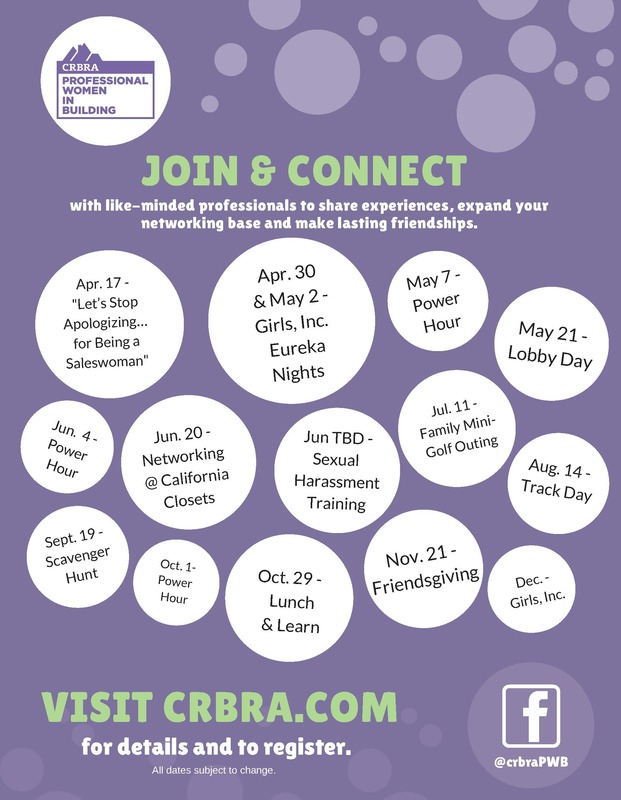 Great savings, resources, half page listing in Annual Directory, education and building connections are part of the membership in the Professional Women in Building Council at CRBRA and National Association of Home Builders. Click here to download the PWB Application! Click here for details and the reservation form.